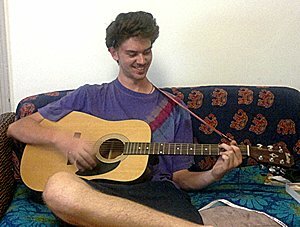 I have found Michael to be an amazing teacher who is visibly passionate about his guitar-playing... I would highly recommend him to anyone who wanted to seriously improve their playing! 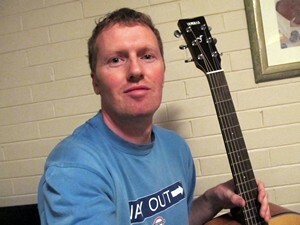 Michael is a talented guitar teacher with lots of skills in different styles. He is able to pass on these skills in an easy to understand way... I highly recommend him as a guitar teacher! 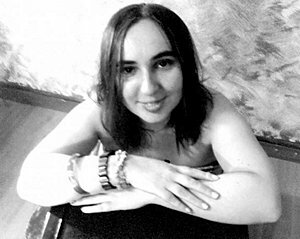 Michael is an excellent teacher, very positive, compassionate with a very happy nature and I felt very relaxed in his presence... after just one or two lessons with Michael I felt like I could conquer the world! If you are enthusiastic about music and guitar, I would highly recommend Michael to anybody and have done so. Michael has an excellent knowledge of music theory. His teaching style is patient and helpful..., best of all he likes to teach students the music they want to play. 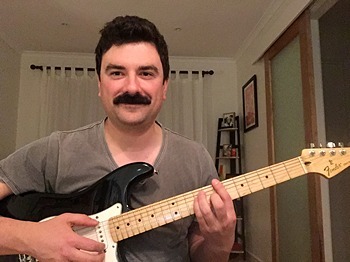 After more than 11 years teaching guitar in Brunswick, I've moved to Reservoir! 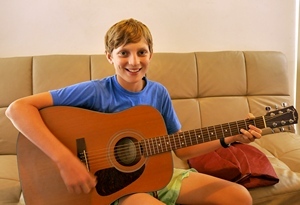 Situated in a beautiful & peaceful area – close to parklands, Darebin Creek, Bundoora Park, and La Trobe University – right on the borders of Bundoora & Kingsbury, close to Preston, Heidelberg West & Thomastown – this is the perfect place to learn and play guitar! Play the songs you love! I've been playing guitar and piano for almost 40 years – playing music really is one of the major loves of my life! 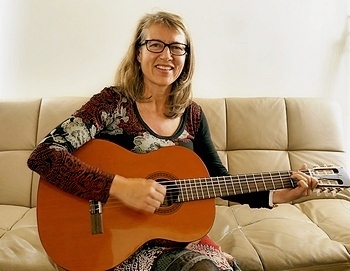 I'm experienced in playing many different styles, performing on guitar and piano, and writing and recording my own songs – and I draw on this long and broad experience in my guitar teaching, and my teaching of theory and music in general. AMEB exam preparation is also available and you can learn music theory – how music works! I teach all ages, from kids to adults – and accordingly I offer a range of lesson lengths. I hold a current Working With Children Check (WWCC). 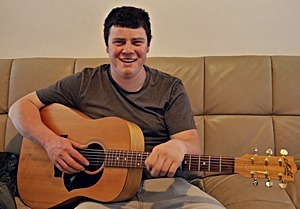 My guitar lessons focus on the songs that you want to play! 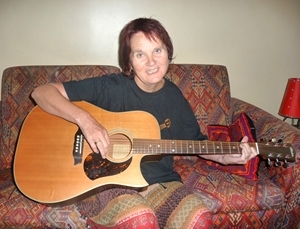 Whether it's the latest songs, pop/rock or top–40, classic rock, or anything from folk, fingerpicking, country and flatpicking, to hard rock and metal – I can teach you, on acoustic or electric! 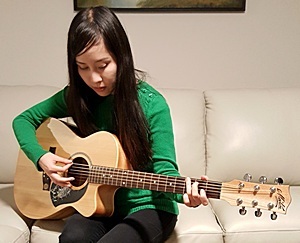 My students range from primary school & high school children – beginners and those developing their talents – to adults who are beginners, or rediscovering a love of playing guitar and a whole world of music! 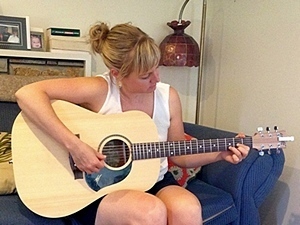 Turn your dream of playing guitar into reality – it really is great fun to play! 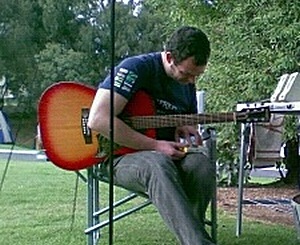 Historically, my guitar students have come from many parts of the inner north of Melbourne and beyond. Now that I've moved north to Reservoir, I'm available to take students from Reservoir and the surrounding northern suburbs – Bundoora, Kingsbury, Preston, Heidelberg West, Coburg North, Fawkner, and Thomastown. Just a stone's-throw from the borders of Bundoora and Kingsbury I can cater to students from these suburbs as well as Preston, Heidelberg West, Coburg North, Fawkner, and Thomastown! Please read some of my students' testimonials, and feel free to contact me with any enquiries – I'd love to hear from you!